<p><b>Shop Safavieh at Walmart. Save Money. Live Better.</b></p> <h2>Leather Shags Rug Collection</h2> <h3>Genuine Leather Area Rugs</h3>The Safavieh Leather Shag Rug Collection features genuine leather area rugs made from the softest strips of high-quality natural hides. Every rug in this collection is hand-knotted to a special cotton weave that best displays the soft suede underside of the leather, creating a multi-toned, dimensional look that will be a striking centerpiece in any room of your home or office. The Safavieh Leather Shag Rug Collection features genuine leather area rugs made from the softest strips of high-quality natural hides. Every rug in this collection is hand-knotted to a special cotton weave that best displays the soft suede underside of the leather, creating a multi-toned, dimensional look that will be a striking centerpiece in any room of your home or office. Purchased for front door which isn't used much so Cleaning is not a concern. Rug is a beautiful natural color and really pops. Oh definitely! It is a leather product modestly priced. I used this rug to tie in with a mid century modern niche in my front window, consisting of two wing back chairs an ottoman lamp and planter. I think it captured my vision perfectly. Yes. I would buy these over again. These rugs are beyond beautiful and perfect. Gorgeous rug, with lots of natural color variations (pink, burgundy, crimson). There was a strong smell at first, which some people may mistake as a "chemical" smell, but that's how leather smells at first until it is broken in. This is a long shag rug, so it isn't very "soft", but it is a gorgeous addition to my room. Easily worth MUCH more than I paid!!! Omgosh this rug is fabulous!! !...it's well made and very very heavy!! !...some of the strips are really too long but I cut them off and glued them to a old lamp I had...turned out great so I got two items in one...this rug is worth the purchase you won't be disappointed!!! The rug that we received has a lot of lime green leather pieces. This color is awful and clashes with our decor so I have had to personally remove (by hand with a tweezers ) all the lime green pieces. I would say that I had to remove about 50 lime green leather strips. The photo of the multi-color leather shag rug on your website does not show any lime green. So, your website is misleading. The rug has left "light blue" residue all over everything and is impossible to get broken in. The ink rubs off onto your fingers and the bottoms of your feet turning your white socks into a light shade of whatever color of the leather rug is, in my case light blue. Although it is well crafted it is not practical for a carpeted apartment home or at home with sensitive electronics as the layer of dust this thing has put off is quite substantial. 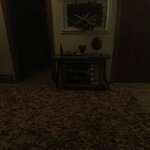 I loved the rug, it just was not treated and I got red dye all over my carpeting and rugs. My socks turned red, red dye got all over my wood floor. I had to return it. The picture of the rug depicted a light bluish gray with flecks of turquoise which would've been a great fit in my new bedroom, but the rug is actually a shocking neon turquoise. Too bad, because the idea and feel of the rug is cool, but they need to do a much better depiction of the color.